Senate Republicans have a new headache. They don't want any money in the GOP health care bill to be used for plans that cover abortions, but the restrictions in the House version may not pass Senate rules. And since members don't want to create a new health care tax credit that isn't explicitly pro-life, they may just have to work within the current Affordable Care Act premium subsidy structure, according to three GOP Senate aides. They'll still try to convince the parliamentarian that the anti-abortion restrictions comply with budget rules, and some Republicans remain optimistic that they'll win. But members were warned at their working group meeting on Tuesday that things aren't looking good and given the alternative options. Public optimism: "I think they're still having this conversation with the parliamentarian, but I think everybody — and I think wisely so – is sort of gaming out how we deal with all these various issues" that may violate Senate rules, Sen. John Thune, the No. 3 Republican leader in the Senate, told me. 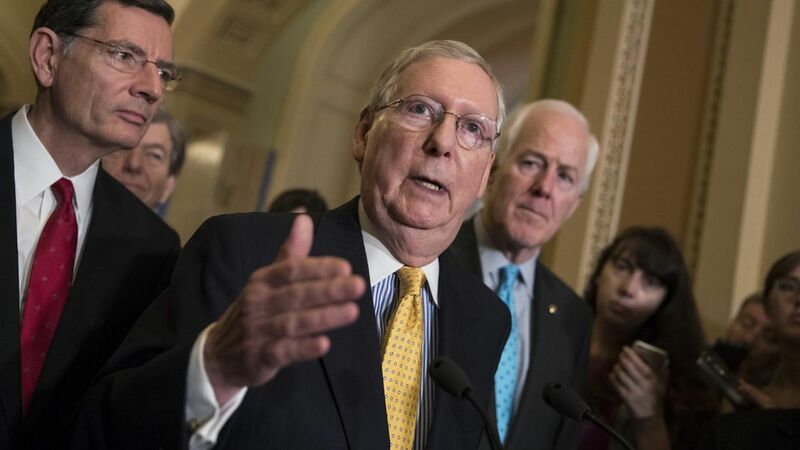 The response: Republicans "basically told McConnell to argue better" in persuading the parliamentarian that the anti-abortion restrictions should stay, a senior GOP aide said. Sound smart: It's unclear how the ACA premium subsidies could be tweaked to be made more conservative or cost less money, but Republicans have said the way they're currently structured encourages insurers to charge higher premiums. Still, keeping the ACA subsidies is a serious option for Plan B.
ACA premium subsidies are based on income, geography and the cost of a benchmark exchange premium. The House bill's tax credits vary by age and phase out for higher-income people. Plan C: If both of the other options fail, the third option is to end all tax credits and instead put $500 billion into the Children's Health Insurance Program, according to a senior GOP aide. Fun fact: When I asked whether this was a joke, the aide said, "That's what several members asked."